5 Ways to Fail at Building Your Brand Online - And 1 Surefire Way to Succeed! Building your brand online is as important as the more traditional things you must do to grow your business. Everyone is online. Before doing business with you, potential customers look up your website and social media accounts to learn more. The easiest way to lose their business is to ignore this reality. The surest way to fail at building your brand online is to build nothing at all. These arguments make no sense. The truth is that every business wants more customers. Period. And those customers are online. There are over 5 billion Google searches a day. 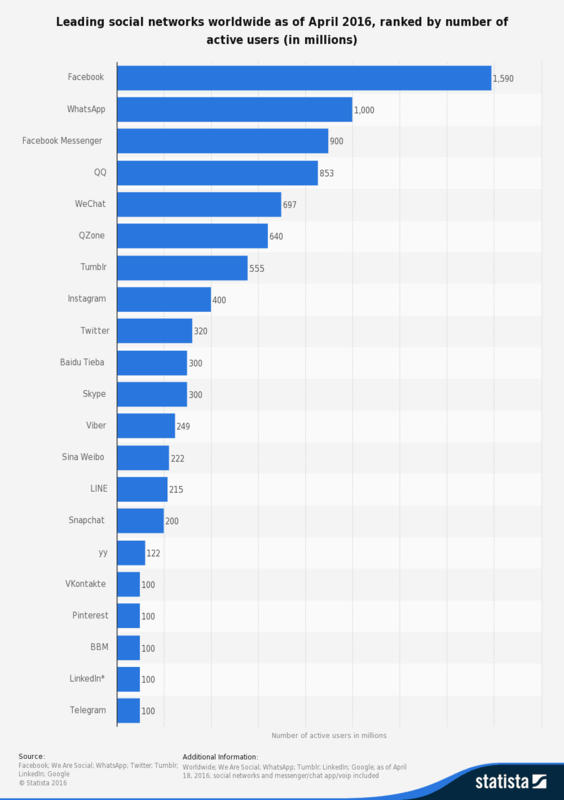 Facebook has more than 1.5 billion active users. Even social media sites like LinkedIn, who have smaller audiences, measure their users by the 100s of millions. With billions of people online everyday, it is illogical to argue no one is looking for the products or services you sell. Or that no one is looking for a local supplier. Imagine a store with no signage. Curtains drawn. Door locked. Imagine this store surrounded by other stores. The other stores have huge signs. And beautiful window displays. And sales staff standing outside, encouraging people to come in and shop. If you do not exist online, people who look for you find nothing. Worse yet, they find your competitors! Once you recognize that building your brand online is a must, you start wondering how to get from A-Z. This is the point where many brands – especially small businesses – make the mistake of biting off more than they can chew. When it comes to social media, it is tempting to try and be everywhere. Once you have committed to building your brand online, it seems silly to miss out on potential business. And social media accounts are free, so why not be on all of them? There are actually many reasons not to over-extend yourself on social media. The most obvious problem is that it takes up too much time and effort. Every social media profile needs to be managed. At a minimum this requires you to make posts, read and share what others are posting, and interact with your followers. On LinkedIn, you can get away with making a couple of posts each week. But this is a business crowd. The expectation is that you will be contributing high-quality, long-form articles on business subjects, not just motivational quotes and updates about what you are doing at work. On Facebook, you should post something daily and on Twitter you will need to make several posts a day, just to keep up with the norm. To be everywhere is a lot of work. We all know what happens when you spread yourself too thin. Quality suffers. You become exhausted. Progress stalls. Over-extending yourself on social media can become a hamster wheel. Tons of work with little to no payoff. Lots of companies have a crazy long row of social media icons on their website. Visually, it looks like they are doing great at building their brand online. But a quick peek at their profiles reveal only a shallow presence on each platform. They aren’t posting frequently enough, the posts they do make are un-interesting, and they are not interacting with their followers. Social media success is all about engagement. Even if you are building a following, follower count is meaningless if those followers are not engaged. Brands that over-extend themselves accomplish very little. This is a costly mistake when it comes to social media marketing. Imagine that your store is sitting alone in a field. In the distance, there is a busy highway. An endless stream of potential customers are driving along, searching for a store just like yours. But there is no exit leading to your store. Not even a gravel pathway. That is the situation for many, many websites. On the outside, they look good – maybe even great. But only friends and family come to visit. No one else even knows they exist. The problem is that many business owners (and website developers) obsess about details like font style, and logos, and colour schemes, and don’t pay enough attention to the functional elements. Rand Fishkin at Moz has a great SEO Checklist for New Websites. It is a little technical in parts, but well worth the read. Unlike social media profiles, which can be changed and updated easily, at any time, making functional changes to your website, post-launch, can by complicated and costly. You want to get things right from the start! A few years ago, one of my largest clients (who shall remain nameless) posted a video series online. They had invested a great deal of time and money into this content, but once it was up-and-running on YouTube, everyone forgot about it. Except the trolls. The trolls were all over it. Endless comments were made about the physical attributes of the female commentator in the videos. The comments were inappropriate and vulgar. At the same time as they were ignoring their YouTube channel, the organization was putting links to the videos on their website and social media platforms. In essence, they were driving traffic towards the offensive comments. Once I had made them aware of the situation, they disabled the comments for the videos, but this was months and months after the original posts had been made. Damage done. In another real life example, I worked with a prominent brand that presented online training courses to a national audience. There were opportunities to provide feedback within each course. But they did not assign anyone to read and respond to participant comments. When I pointed this out to them, their response was that the feedback was all positive so there was “no harm done”. Maybe so. But there was certainly a missed opportunity. When building your brand online, positive endorsements are incredibly valuable. By reaching out to positive commenters, my client could have obtained permission to use their rave reviews for promotional purposes. Instead, these comments sat alone in the back-end of a learning management system, aging and gathering dust! Both positive and negative comments need to be monitored and appropriately addressed. Otherwise, you lose control of brand messaging. Maybe it’s all those viral videos of dancing kittens. Or the number of D-List celebrities with massive follower counts. Who knows. But I am always amazed by how high the expectations are when it comes to digital branding. There is a common belief that with very little effort, and very little cash (or even zero dollars! ), you can become an over-night success. This is ridiculous! Like every other part of your business, you will have to continually work at building your brand online. Every entrepreneur who succeeds – online or offline – gets there through hard work, innovation, and persistence. It usually takes years. Unrealistic expectations lead to disappointment, frustration, bad decision-making, and eventually – failure. Realistic expectations help you maintain the energy you need to achieve long-term success. The one surefire way to succeed at building your brand online is to take a strategic approach. Start by setting clear, achievable objectives. If you are already online, audit your existing digital footprint. When someone googles your brand, what do they find? Once you know where you are now – and where you want to be – develop a strategy to make it happen! Make sure the strategy fits your budget. And matches your skill set. If you don’t have the internal capabilities necessary to manage all of the elements of your strategy, figure out solutions. Maybe you should out-source social media. Or website design. Or get some in-house training so that you can steer your branding on your own – eventually. Lastly, monitor how everything is working out and make adjustments. No big changes – Just just do a little more of the things that are working well and tweak the things that are not doing so well. Davids Can Slay Goliaths Online. The good news is that the internet is a great equalizer! Small businesses can compete alongside big companies, and startups can hold their own against established brands. The challenge is to create a strong online presence that enhances your brand and makes you stand out from the competition. And the way to meet that challenge is by developing a Digital Strategy. And building your brand online through deliberate, thoughtful actions. 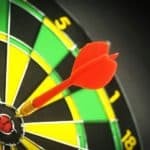 Learning objectives are the red circle in the centre of the training dartboard. Great points Kim, especially the point about social media exhaustion! Thanks for posting.